A Nottinghamshire office park is now at 100% occupancy, for the first time in its history. 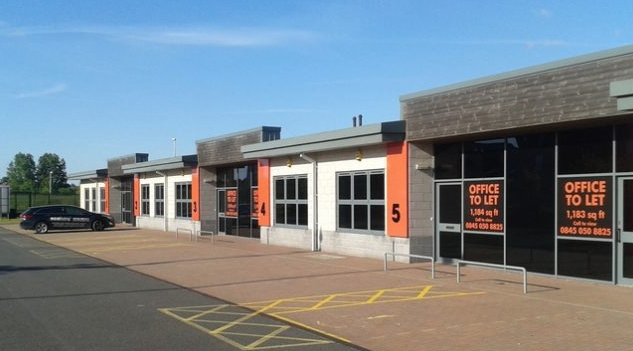 On behalf of Industrials, Ryden and joint agent Fisher German have completed a succession of deals and the Office Park at Sherwood Network Centre in Ollerton, Nottinghamshire, is now fully occupied for the first time in its history. New tenants include industrial equipment supplier Juice Stored Energy, family drainage company Metro Rod, security group Asset Protection Group, and Center Parcs. The total size of the office development is circa 12,000 sq ft, and it has been owned by Industrials’ parent company, Stenprop, for three years. The high quality modern premises are arranged in a terrace of eight self contained suites with sizes from 1,190 sq ft to 1,461 sq ft.
Sherwood Network Centre is located within the Sherwood Energy Village, one of the best-established mixed-use estates in the region, close to the heart of Ollerton town centre and around 10 miles north east of Mansfield. Dan Hodge, Associate at Ryden, comments:“We were delighted to advise Industrials and bring the Office Park at Sherwood Network Centre to fully-let status for the first time, which is a fantastic achievement. Ryden and Fisher German represented Industrials in these transactions.